The Netis WF2561 is designed to give your desktop or laptop computer a wireless network and access high-speed Internet connection. 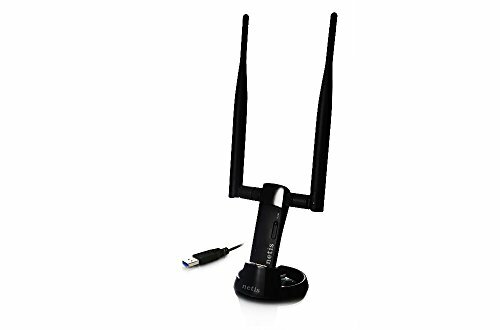 It's compatible with 802.11a/b/g/n/ac devices and it USB 3.0 supports the wireless transfer speed up to 2.4GHz 300Mbps or 5GHz 900Mbps, offering a better performance on online gaming, HD video streaming, and VoIP phone calling. With high transmission power, the WF2561 signal booster will double your wireless signal range by innovated WIFI amplifier technology.